It's just a couple of clicks to save only pages containing annotations. 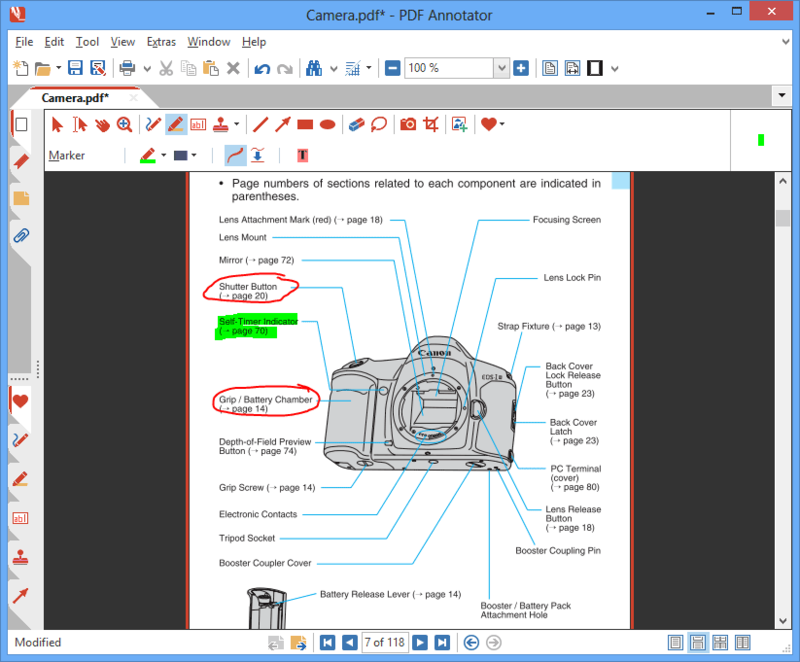 Maybe you've got a more than 100 pages document, with annotations on just a couple of those pages. 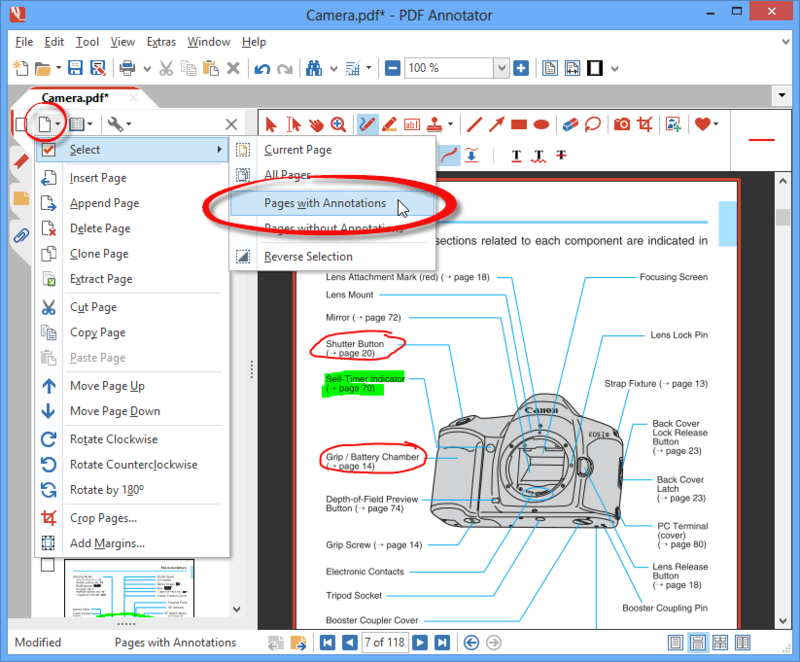 Now, you want to save only those pages containing annotations to a new document. 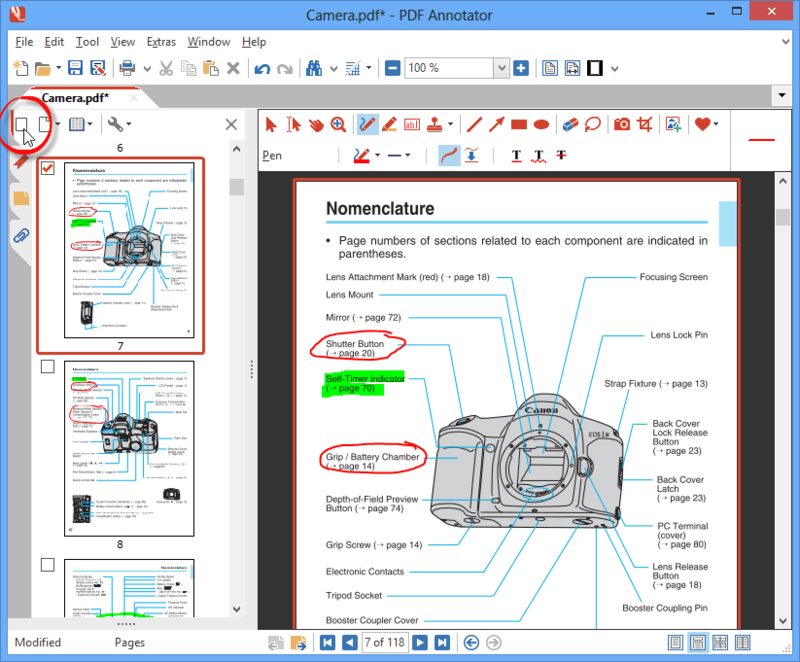 Let's start with a sample document of 118 pages, which has annotations on just two or three of them. First, we open the Pages sidebar with a click on the Pages tab on the left side of the screen. Next, we click the Pages button on the top left of the sidebar. We click Select and Pages with Annotations. As a result, we can see that all pages containing at least one annotation have been selected in the Pages sidebar. Once again, we click the Pages button on the top left of the sidebar. This time, we click Extract Page. 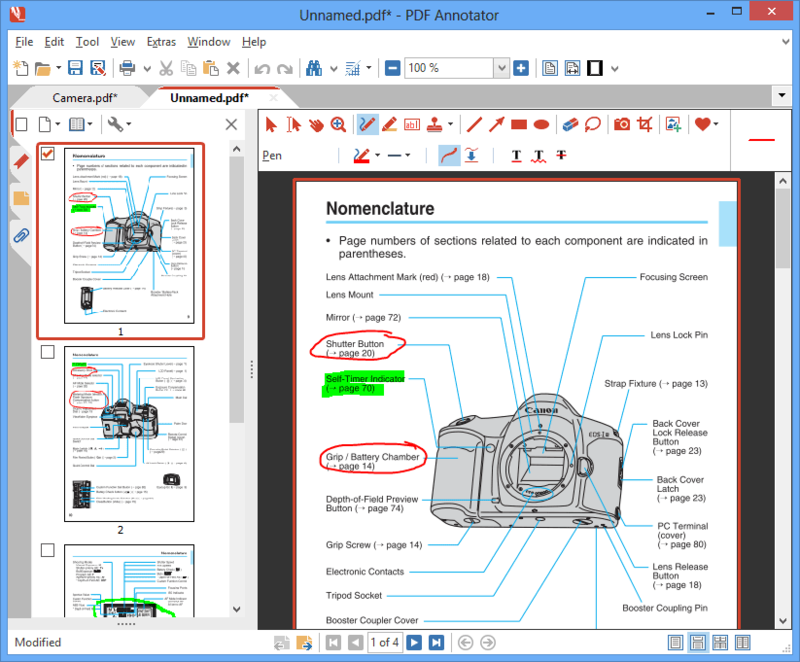 And as a result, a new document will be created on a new document tab called Unnamed.pdf. 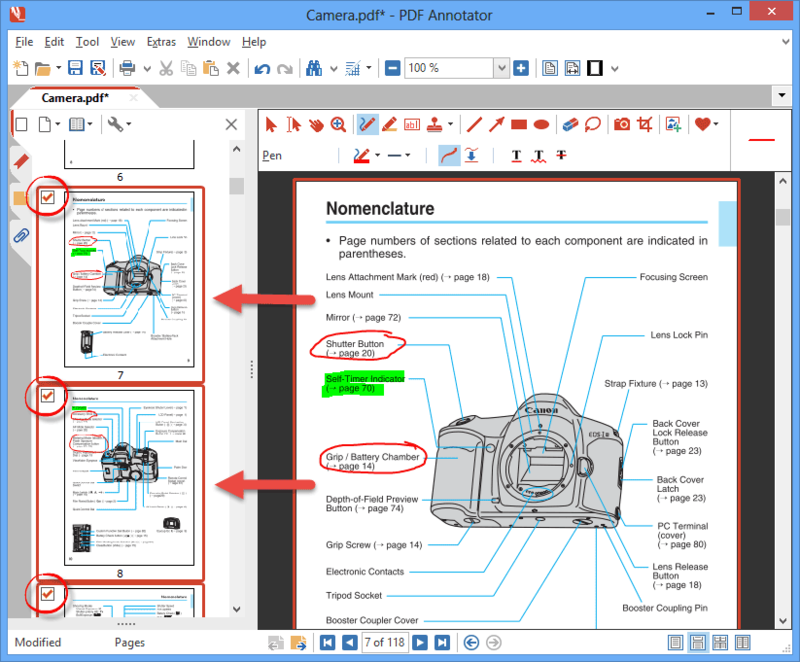 The new document only contains the pages we previously selected - all pages containing annotations. 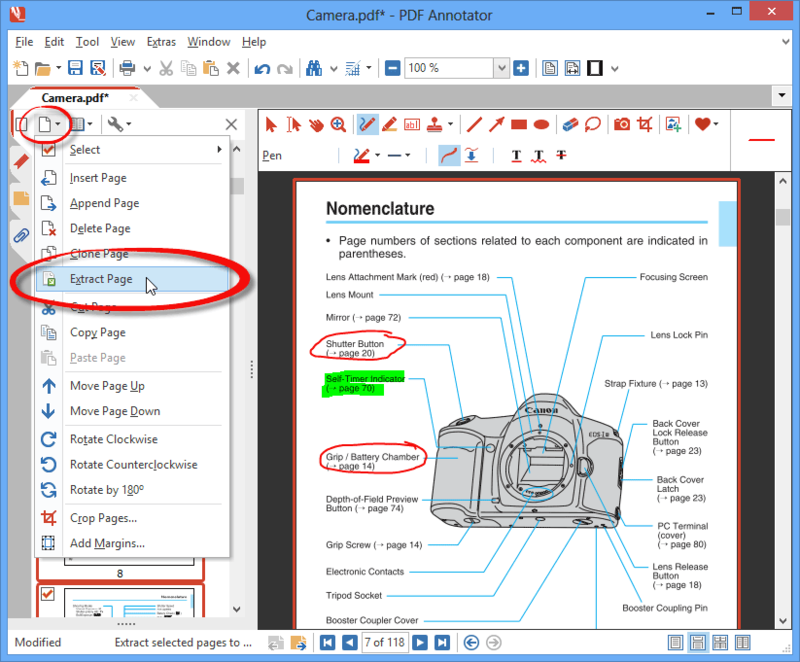 Finally, we can click File, Save as to save the newly created document under a new name.